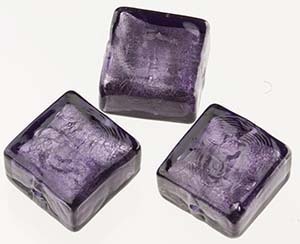 Add some plum to your designs with this blu inchiostro Murano Glass Bead in a square. It features the rich color over White Gold Foil. The bead is 10mm square with a 1mm hole in the center. 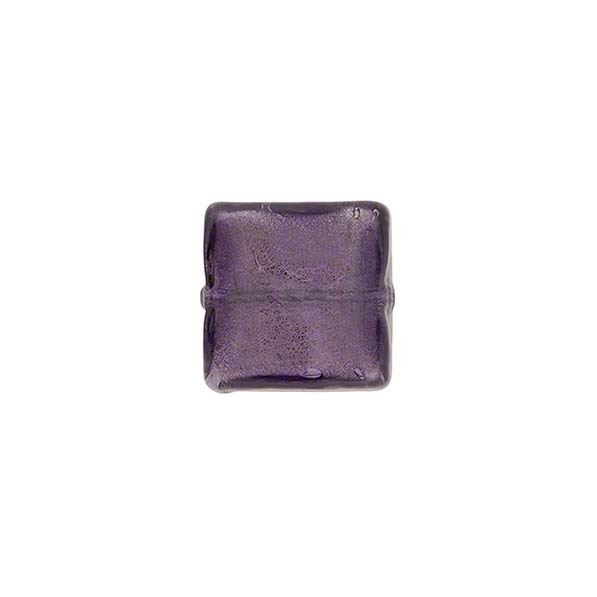 This bead makes a perfect small earring or for use as accent beads with other Venetian Beads.